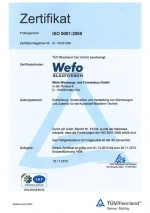 Wefo - 22,000 sqft of Forward Moving Innovation! Our company was founded in 1983 and started in a garage with only 3 employees. Today, we are over 2100sqm (22,000sqft) of modern factory space and employ 40 qualified staff. 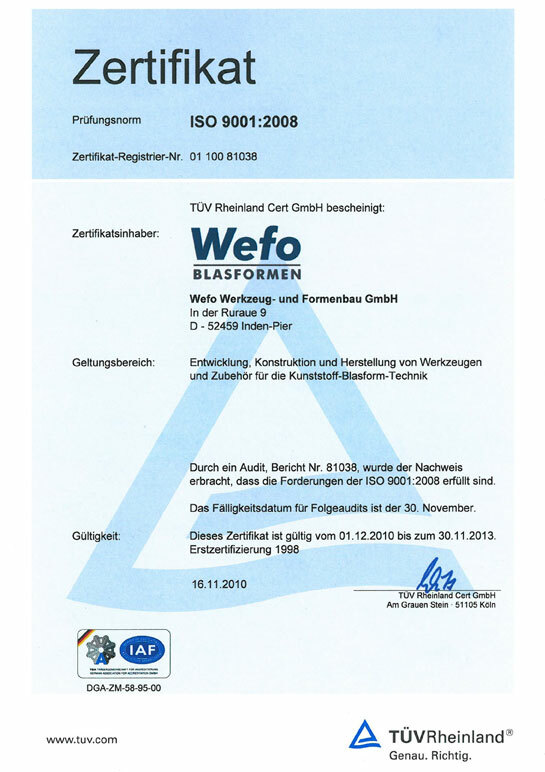 WEFO develops ‘DIN ISO’ certified innovative and technologically advanced blow moulds for extrusion and stretch blow moulding technology. We also include our clients throughout the entire production, design and development process, right up to the finished product.